Founded by Graham Cutler and Tony Gross in 1971, the luxury eyewear brand Cutler and Gross has carved an exclusive niche for itself. But while its fashion-forward frames are highly-coveted, you’re not likely to find them on any high street. “I like to describe Cutler and Gross and its presence on the market as a ‘worldwide club’ in which only the very top tier of partners and consumers are included,” says Majid Mohammadi, Cutler and Gross’s CEO. The reason why the brand has to stay exclusive at every cost is that it would be impossible to supply glasses to the masses. Handmade from scratch, each pair – optical frames and sunglasses alike – takes up to five weeks to create. In addition, the bespoke service is an integral part of the business, and to maintain the level of customer care needed to produce unique frames to strict specifications by hand, only a limited number of consumers can be accommodated. Since the bespoke service is only available in Cutler and Gross’ own cluster of stores, of which the original is located in London’s Knightsbridge, Mohammadi and his team are currently searching for shop locations in cities including Tokyo, Amsterdam, Milan and Paris. The criteria are strict, as each outlet essentially functions as an extension of the brand itself. “Some brands value high visibility and plenty of passing trade, but you’ll never find a Cutler and Gross store on a well trodden path. Typically, our shops are tucked away like little gems; they’re destination stores, which is a retail format in line with our customers’ preferences,” says Mohammadi. Carefully nurturing the brand values, Mohammadi is taking active steps to distance the business from commercially-driven players that churn out goods at dizzying speeds. Since most manufacturing plants have decamped to Asia, the ‘Made in Italy’ mark is becoming ever more elusive. As a result of the shift, many of the frame factories in Cadore – a spot in northern Italy famed for its refined manufacturing methods of glasses – have had to close. Cutler and Gross has produced its collections in Cadore for many years, and in order to continue to do so, it had no choice but to buy its own factory and invite a team of skilled bespoke frame makers to apply their deeply rooted expertise. “We could never produce our glasses in China; it simply wouldn’t be possible to maintain the craftsmanship required to make a pair of Cutler and Gross frames. 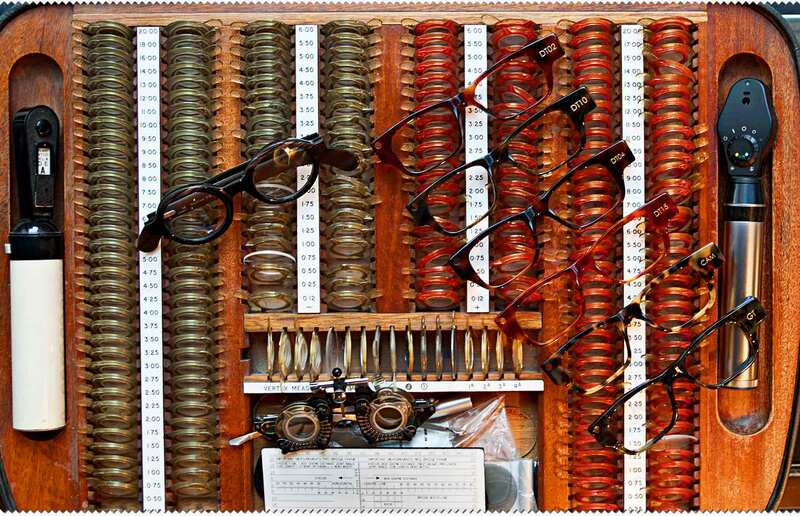 The opening of our own factory has improved the business a lot as we can now create more intricately designed pieces and keep the standards even higher than previously.” How very Cutler and Gross.